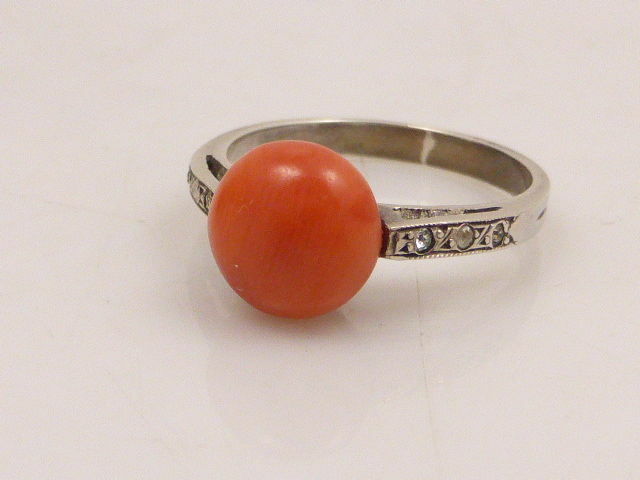 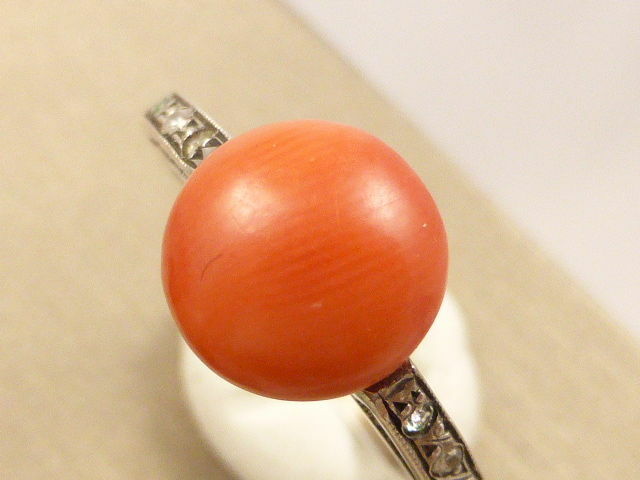 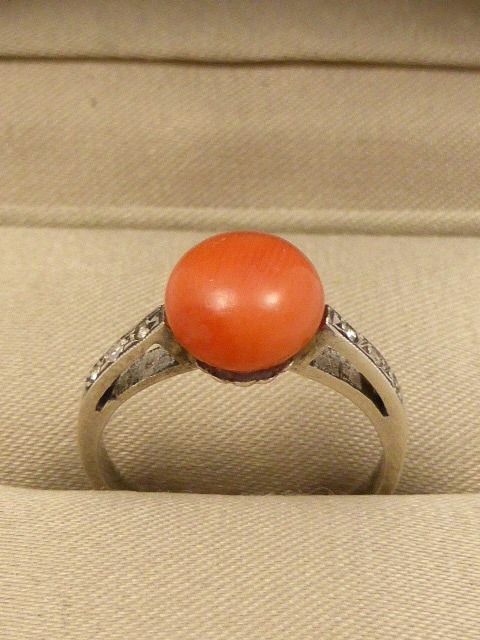 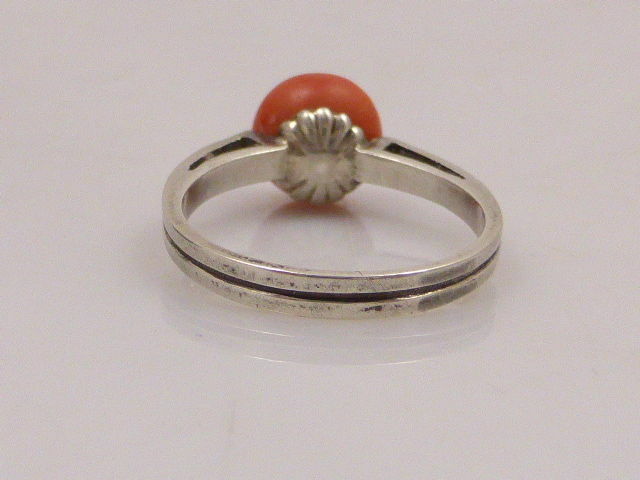 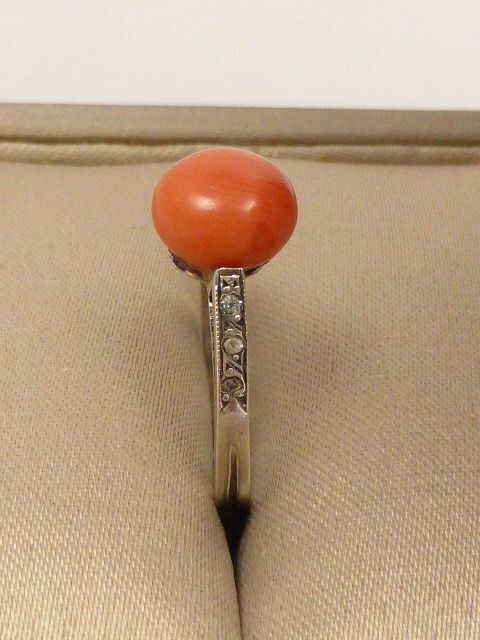 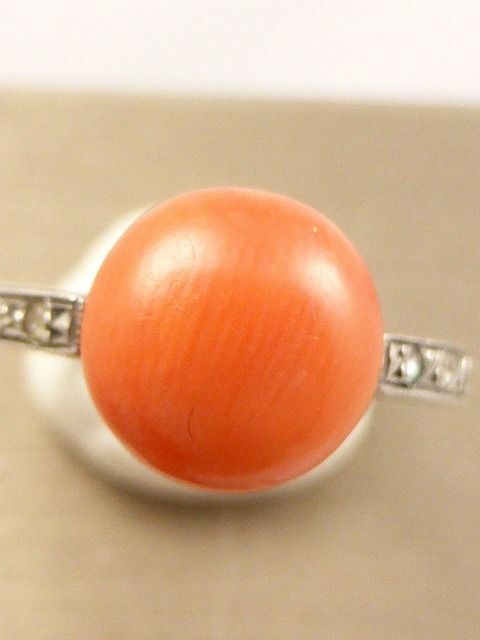 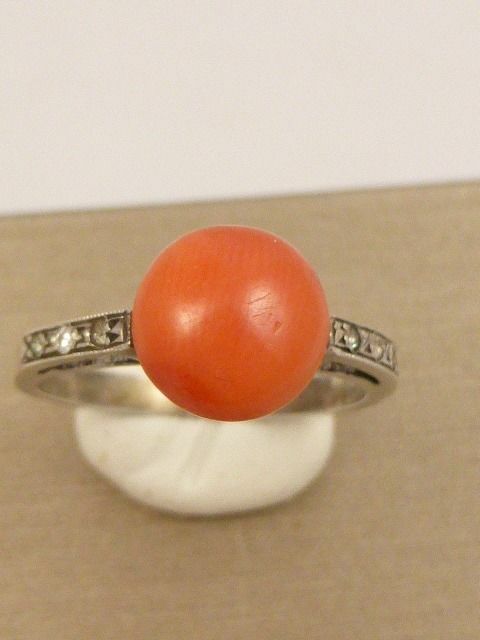 Lovely vintage silver ring with a precious coral of 8 x 8 x 6 mm, cabochon cut. 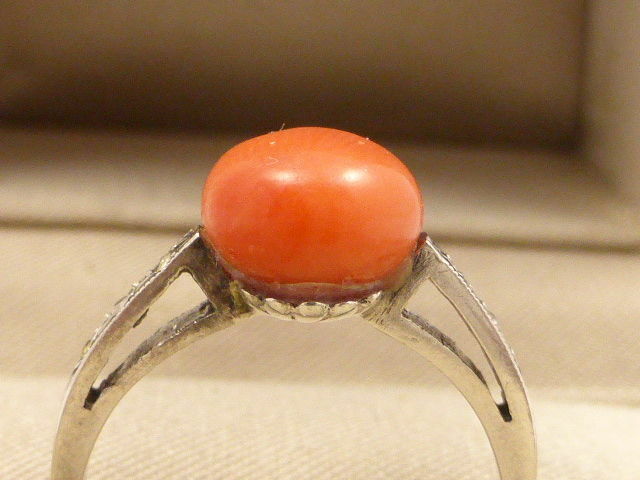 The fingerprint pattern of genuine coral can be seen nicely in the precious coral. 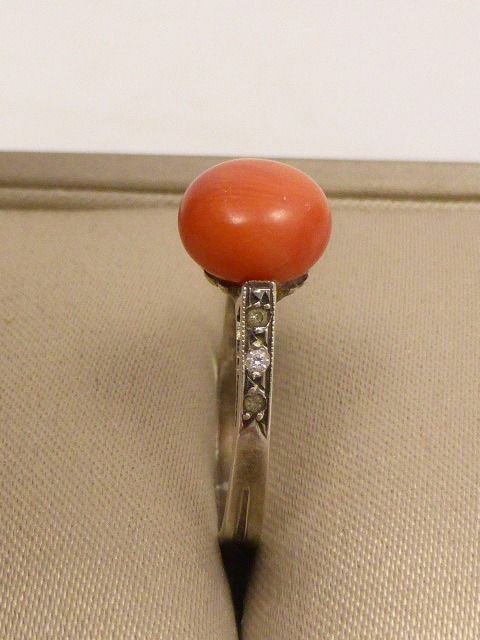 The band is also set with small transparent accent stones, cut like rose diamonds, but it is not diamond. 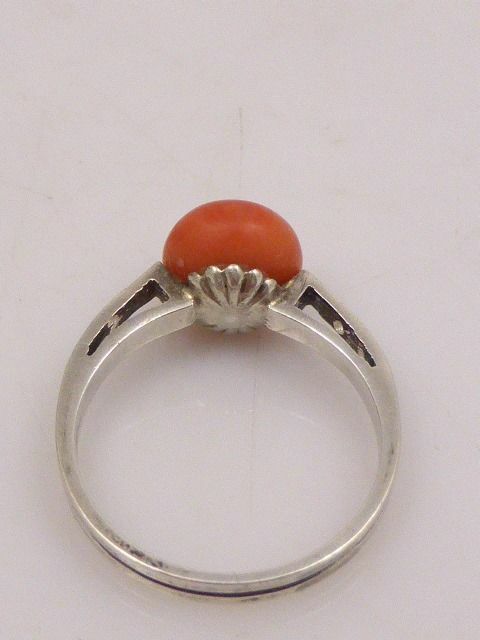 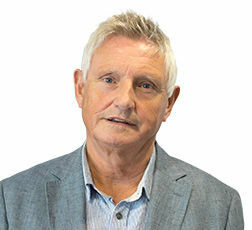 Shipping with DHL or registered with PostNL, depending on the destination.